If anything should be placed on my tombstone when I die. This is it. Nothing makes my heart fuller than getting a chance to mix my faith, music and passion for ending domestic violence together in one setting. A few weeks ago, my job hosted a gala and silent auction to raise awareness about domestic and sexual violence in the state of Tennessee. Our executive director came up with the idea to have a special presentation where survivors would walk across the stage with a poster board. One on side, a trial they've had to overcome. On the other, where they are now. She heard through the grapevine, that is our office, that I'm a musician and asked me to prepare a piece that would be motivating. I thought of "Titanium" by David Guetta & Sia. 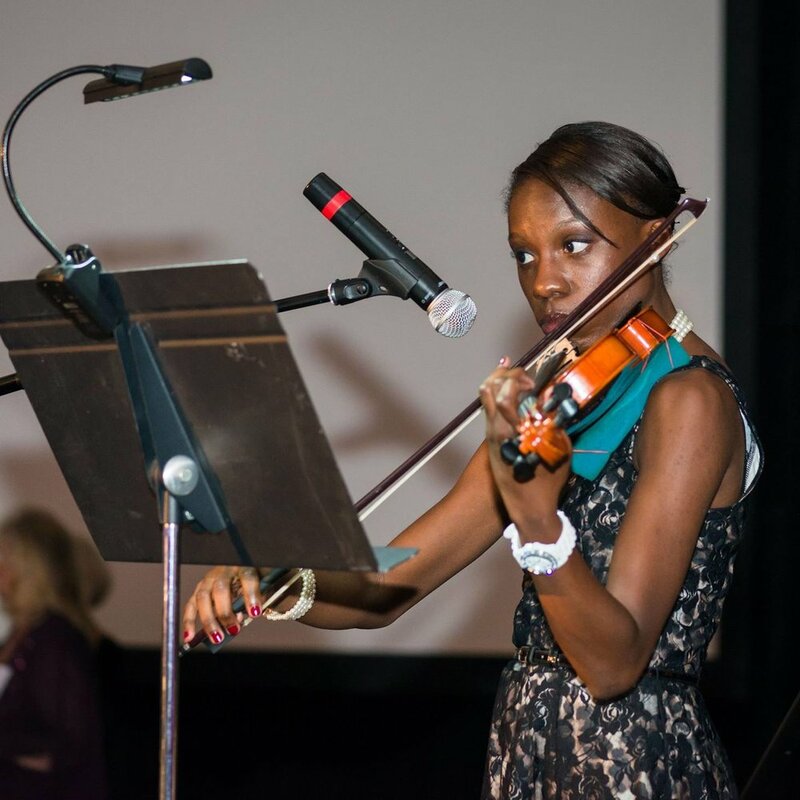 Then, having witnessed abuse at home growing up, I was asked if it'd be alright for me to stand in as a survivor during the end of my violin piece. I won't spend this entire post retelling my story (click that link!! ), but it is important to me to be able to share; be it through words, music or the work that I do. And I can say that that night's presentation was a brave, brilliant, and a powerful way to raise awareness about domestic and sexual violence. From board members to advocates to judges, several survivors took that stage and broke stereotypes, silently shared their experiences, and let attendees know that this issue is real and affects all demographics across the board. I am thrilled everyday to be apart of this movement. The intersection of these three passions has brought new experiences, new friends and confidence in my identity. To read more about my story (if you didn't click the link above), check out this project written by my friend, Hilary Weaver! Joyful Heart Foundation - Because Detective Olivia Benson Mariska Hargitay is amazing! !